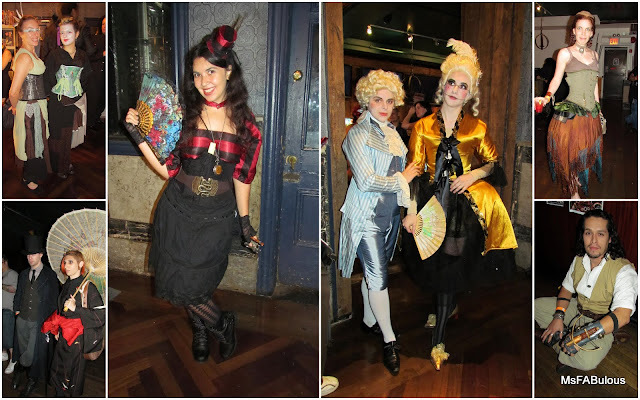 Legendary NYC nightclub, Webster Hall (it used to host the original Surrealist balls with Salvador Dali) hosted the Anachronism’s Steampunk: Visit to Edo event. The event had a fashion show, several music acts, dance, art demonstrations and even a cosplay burlesque showcase. Vendors offered handcrafted Steampunk jewelry and fashion. Thirsty? The cocktail menu was appropriately themed, ranging from the "Tesla Coil" and "Clockwork Lotus" and an entire section devoted to Absinthe. Of course, the ensembles were the real stars of the venue. Outfits of guests ranged from courtly Renaissance, to studious spectacled gentlemen. Corseted kimonos were popular, with many ensembles made by hand by artists and crafters themselves. My favorite of the day had to belong to Genevieve of the Goth/Steampunk band, Psyche Corporation, who co-sponsored the event. She had a fantastic outfit crafted from vintage spindles and spools. 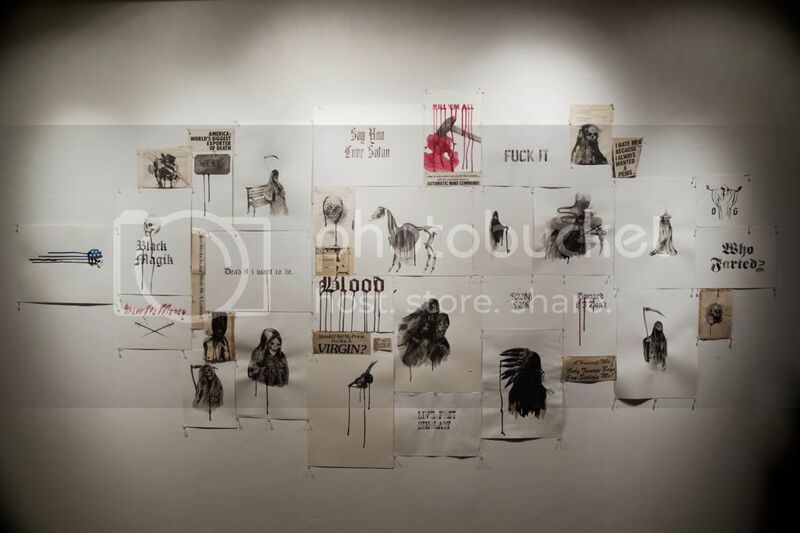 The Fuse Gallery recently hosted a show by Othelo Gervacio in NYC. The art was a mix of inky Gothic calligraphy, moody grim reapers. 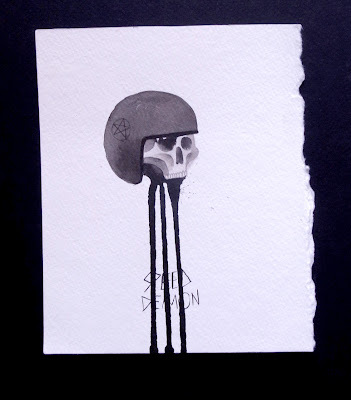 Skulls incorporated into religious icons or poetic death images collaged on the walls. The artist has a great blog on Tumblr showcasing his work as well as his passions. NYC has been hit with record high temperatures and unbearable sun. Those are not exactly the ideal conditions for Gothic fashionistas, but it didn't stop them from supporting Gareth Pugh's launch of his M.A.C. cosmetics collaboration. The season-defying black-clad guests at the New Museum's patio enjoyed having their nails in done in various wicked shades of off-black. 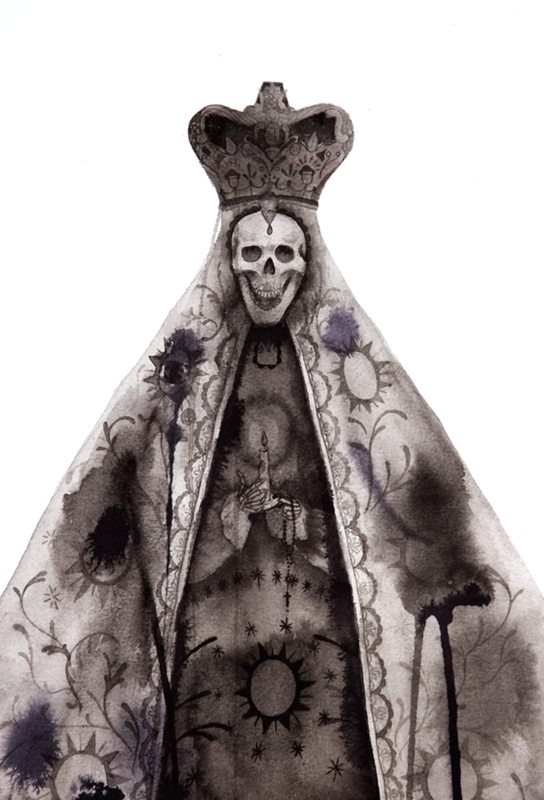 Many wore the designer's label. Pugh's nails himself were a witchy iridescent green and purple. Vampire-worthy crimson lips kissed cheeks while clueless pastel-clad tourists passed by below. 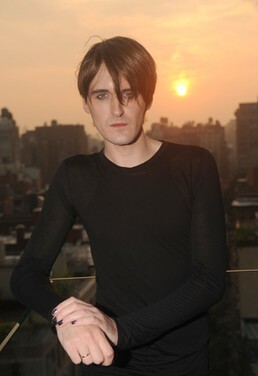 Gareth Pugh had previously collaborated with M.A.C. 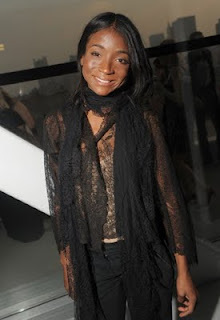 for his "Goddesses from the Grave" runway show in 2010. One of the reasons the designer created this line was to that there would be a product with his aesthetic that was accessible to everyone (pricewise, style-wise, etc.) The cosmetics packaging will be a special edition in his signature palette of black and grey and will hit stores in November.